In this article, you're going to learn why you should consider farming and eating the black soldier fly larvae (BSFL). What's more, I'm going to show you how to eat them and what are the 13 most important benefits of BSFL. If you never heard how eating insect can improve your health and help us save the planet, definitely check out this post about entomophagy. If you're like me and you love to live healthy while reducing your impact on the environment, or you just want to find a good way of making your organic waste useful, you'll absolutely love this post. You're going to learn exactly why you should consider having your own little colony. When you think of flies, you don't think of something you could eat. It's true that the regular house fly isn't something you want to try snacking on. Instead, why not try the black soldier fly? I know, you think it’s gross. But I can promise you that you’re going to be amazed at what they can do for you. Here's why you're going to want to try them out for yourself, what they are and how they can help to save the planet. So, why should you try eating insects like the black soldier fly, rather than regular protein sources? Many people who have switched to the insects say they're looking to support more ethical farming systems, rather than the ones that are in place today. Having your own black fly farm would also help you reduce your impact on the environment. There's so many problems with buying store protein sources, such as meat. You don't know how far it's come to be on that store shelf, meaning that it could have traveled hundreds of miles on a fume spewing truck to get there. Then there's the environmental impact of the packaging to consider. Eating black soldier fly larvae will eliminate all of that, so you've reduced your carbon footprint by a considerable margin. 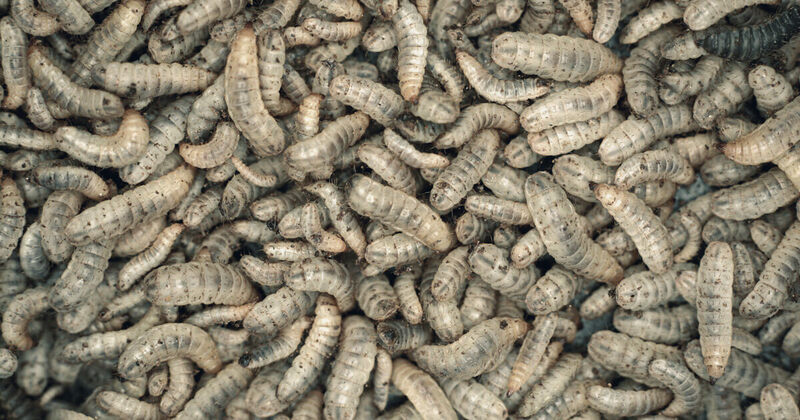 In the future, you could be farming your very own black soldier fly larvae. A prototype machine, named Farm 432, has been created as a proof of concept. The machine would sit in your kitchen, and help you breed and develop your own larvae. It's a closed system, so you know exactly what's going in and out of your farm. ‍What Is A Black Soldier Fly? A black soldier fly, or Hermetia illucens is a common and widespread fly of the family Stratiomyidae. BSF is a fly that holds some unique properties. It's not a pest like the regular house fly, and so it can actually be put to use by humans. Black soldier fly larvae play a similar role to that of redworms as essential decomposers in breaking down organic substrates and returning nutrients to the soil. 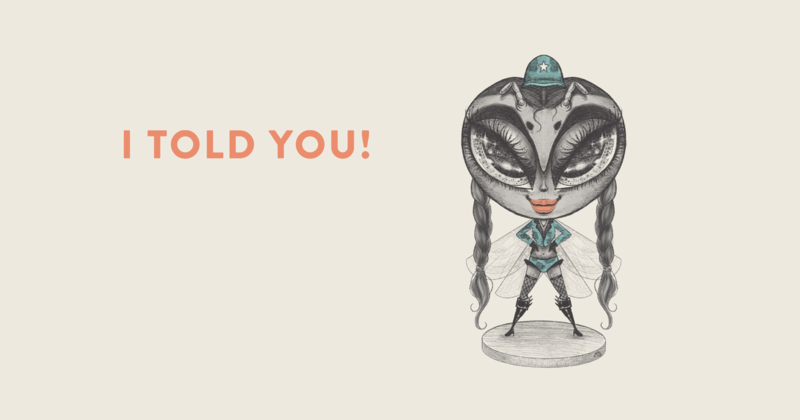 Ok, I must admit, the BSF definitely doesn't look as charming as our Illustration. But they definitely do compensate the looks with other benefits. One of their most interesting properties is its closed life cycle. The adult female lays its eggs not long before dying, and the larvae hatches in around 4 days. The larvae feeds, and when they develop into flies they'll lay eggs, starting the process over again. Black soldier flies are considered to be sanitary, as they're designed to break down the bacteria in their food. They're so efficient at this that there's no bacteria in their waste once they've digested it. In fact, to survive they've had to develop an odour that repels other household pests from them. How do You Eat The Black Soldier Fly? To be exact, the larvae is what humans can eat, and they're well worth trying out. At this stage, they're packed full of nutrients, as they're looking to ingest as much as possible before they move to the fly stage of their life cycle. Right now, the larvae are most often used in animal feed, as they're a good source of protein and easy to farm. However, more and more humans are looking into trying them out for themselves. 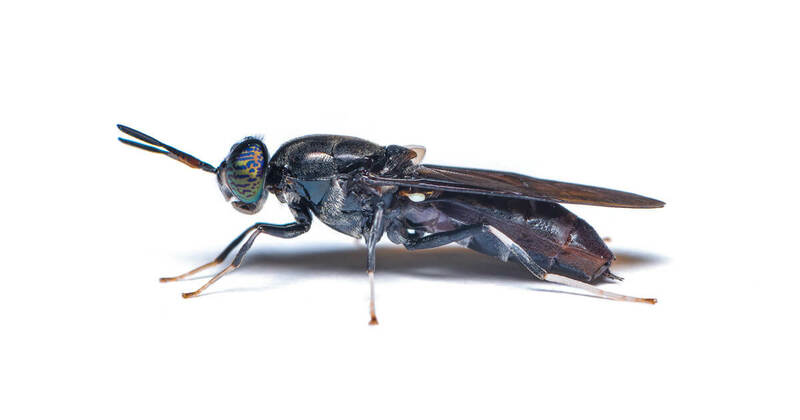 Black soldier flies best known for being an excellent source of protein. They don't create protein themselves, rather, they process protein from the things they eat. BSFL contain up to 43% of protein and are rich in calcium and other nutrients. In fact, you can even create flours from the insect themselves. They're perfect for those who are looking to obtain their protein from more ethically sound sources than regular farming. Those that have tried the black soldier fly larvae say that when cooking it, they smell somewhat like potatoes. When you eat them, they taste nutty and meaty, with a texture of soft meat. Ok, so you know that there's lots of reasons why black soldier flies are a food that you've got to try out. Why are they so beneficial? Here are just some of the reasons why you should give them a try. As larvae, black soldier flies eat and eat and eat. They'll just keep going, right until they hit the pupal stage and emerge as flies. They do this because they're essentially fattening themselves up for that final stage in their lifecycle. In fact, they eat twice their own body weight every single day, so they can grow at a hugely accelerated rate. Once they become flies, they're basically not going to eat again. At that point, they don't even have functioning mouths. They basically live for a few days as they reproduce, and then they die off. Because when you eat the larvae, you're getting the benefit of all that energy. You can take advantage of this, and redesign your diet to get that energy from a good, renewable and clean source such as the black soldier fly. With any animal being raised for human consumption, they've got to be clean. This goes for both before and after they're harvested for their meat. With regular meats this is a large undertaking, and costs a lot of time, money and effort in the processing plants. It means you get a good, clean product, but you'll be paying a lot more for it. Black soldier flies, on the other hand, are a lot easier to keep at a food grade that's edible by humans. As mentioned earlier, their digestive processes kill any bacteria that they may encounter in their own food. Even their waste is sanitary. That means that it's so much easier to find a clean food source in them. When you compare the black soldier fly to a cow, you'll see that there's much more value in the fly. A cow can only give birth to one cow at a time usually, although there are rare cases where they can have two or even three. This is considered a historic event though, and you'd be very lucky to witness it. Compare this to the black soldier fly. In most cases, the fly can lay up to 500 eggs easily in one go. That's a huge jump in production. Don't forget that the life cycle is much shorter than a cow's too, meaning that you'll have more produce coming in more regularly. If you're farming your own black soldier flies at home, then you'll find it easy to manage them. In fact, the small larvae hate light. So, when you want to harvest them, all you need to do is give them a bucket as a shelter, and they will harvest themselves! Check this short video out to see how it works. As a species, they're not known to fly far as they have weak wings, and they're not averse to being picked up. As this is the case, you can set up your own black soldier fly farm. Doing your own farming means that you can control how many flies you have at once, and harvest your larvae as soon as possible. That way, you're getting the freshest food that you can use almost right away. There really isn't a way to farm organic protein fresher than this. It's certainly better than buying your protein sources at the store. The BSF larva is exceptionally good at converting feed into food. 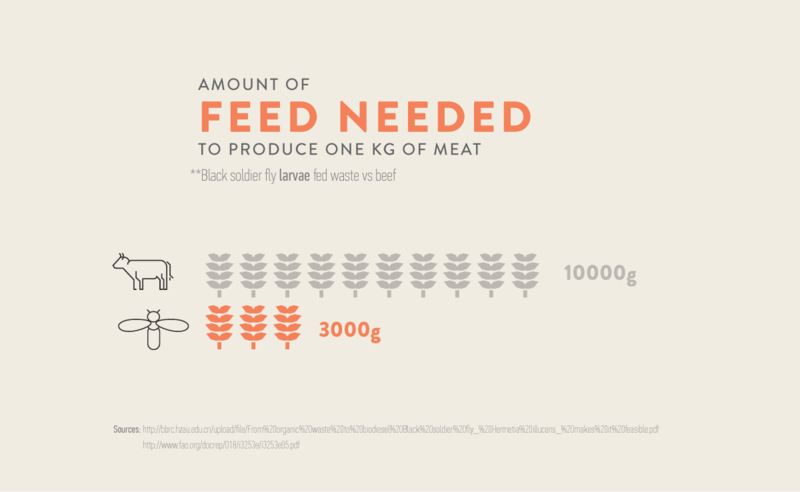 You may use 10 kg of feed to make 1 kg of beef and 2 kg of feed to make 1 kg of mealworms. To produce 1 kg Black soldier larvae you’ll need only around 1.5 kg of feed! 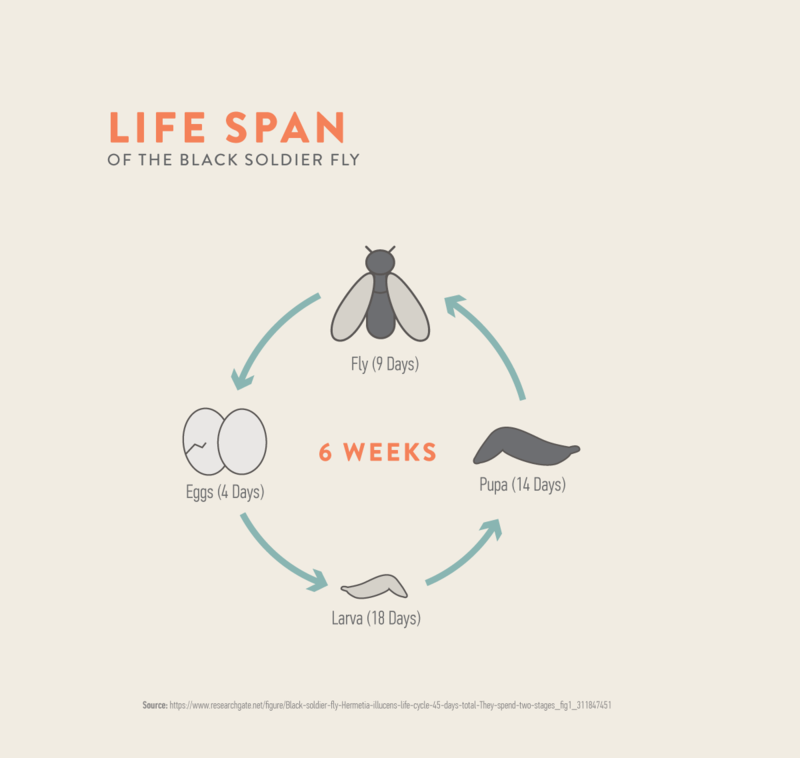 The Black soldier fly larva has a life cycle of only 6 weeks. Including egg, larva, pupa and fly stage. By comparison, mealworm use 9 weeks on the same process. This is WAY shorter than any mammal or bird. 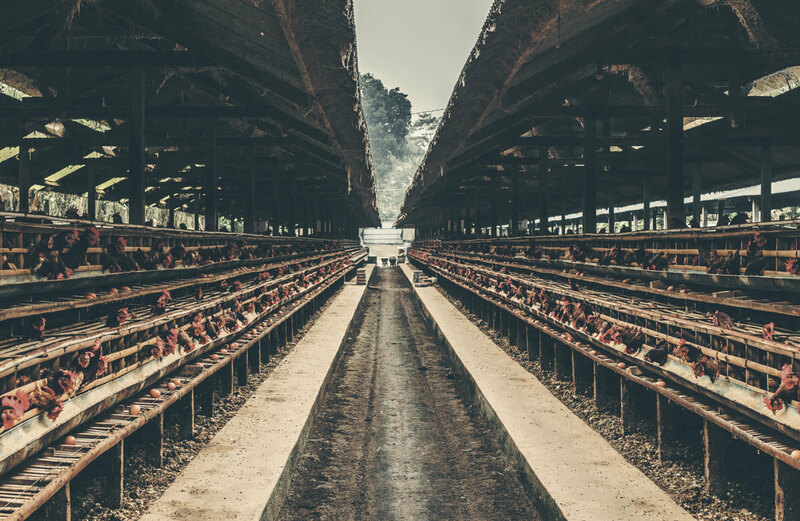 We all know the stories of chickens and other animals being raised in less than ideal conditions. You've seen the pictures of animals being kept in tiny cages and horrible surroundings. It's awful, and you know that when you're buying their meat, you're contributing to this practice. Don't get me wrong, I love burgers too. 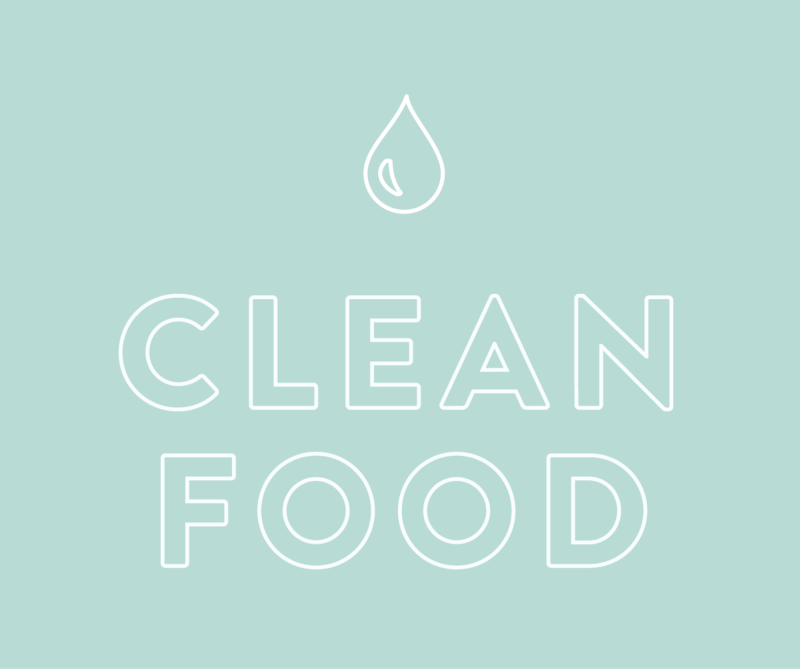 If you try reducing your meat consumption and start eating some insects, such as black soldier flies, instead, you'can make a real difference. Black soldier flies are much easier to keep and farm. They naturally thrive in higher densities, and prefer to stay close together. Farming them is much more humane and practical than most other livestock. If you're thinking of farming your own black soldier flies, then you're probably worrying about keeping them alive long enough to harvest. In fact, they're super easy to take care of. They'll eat almost any organic matter and thrive on it. Some insect farming companies will feed them food that's been rejected for human consumption, but is still of good quality. In fact, those flies can survive almost anything. For example, they can survive being immersed in pure rubbing alcohol for two hours, or even being spun in a centrifuge! Of course, you're not going to be doing that in your kitchen, but it's good to know it's easy to take care of them. As mentioned above, raising and buying black soldier fly larvae for consumption is so much more environmentally friendly than most regular meats. For example, keeping a pig for consumption means the farmer will have to bring in food to feed it, and use resources to house it until it's time to be slaughtered. These will have their own impact on the environment, and once the meat has been harvested from it, there's going to be even more. As we've already pointed out, once that meat has been packaged and delivered to your supermarket it's going to have a massive carbon footprint. The impact they have is negligible. They'll eat anything, so there's no specialist food that needs to be brought in for them. They can be kept in small containers without issue, and even if you're farming to sell them, they don't take up a lot of room. 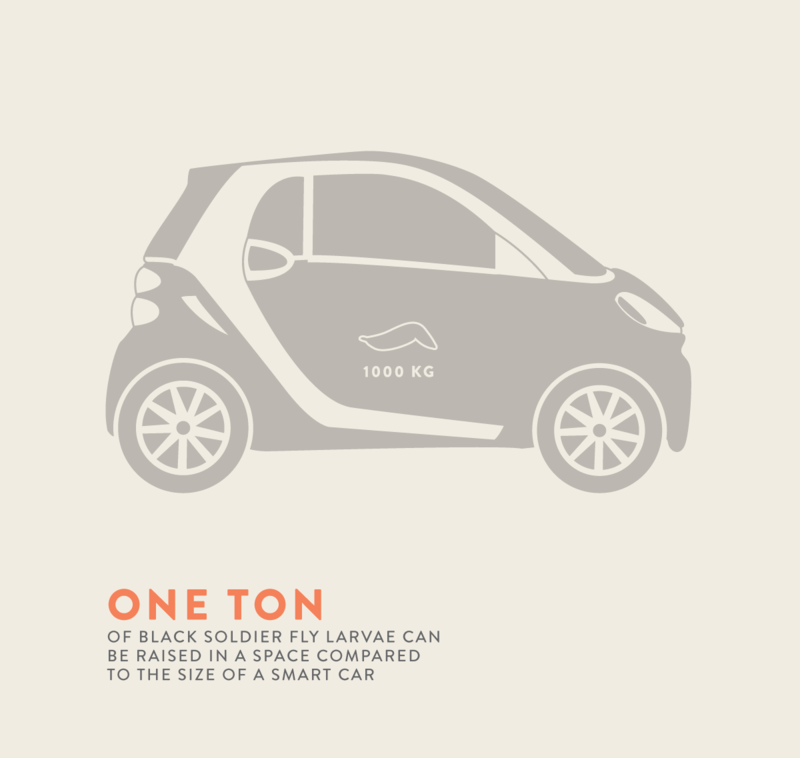 In fact, you can produce a ton of larvae in a farm that's the size of a SMART car! They can even be sent through the post, so there's a lot less pollution in moving them around. Finally, once you've got those black soldier fly larvae, you're going to want to eat them. Plenty of people simply eat them whole as a snack. This is a great way to enjoy them. There aren't many recipes available online, but making foods with BSFL is pretty straight forward. For example, you can try a black soldier fly and tomato rice dish. Or you can simply roast them in the oven and add spices of your choice. Any recipe where the larvae can be sprinkled in is a great way to enjoy them. Farming black soldier flies is one of the best ways to deal with food waste that can't go anywhere else. Farmers, whether they're farming the flies for animal or human consumption, find that they can feed their flies anything that can't be used elsewhere. This farmer, for example, found that he can feed his flies brewery grain waste, or waste from ethanol production. This is amazing as it means there's much less waste happening overall. Again, if you're concerned about the environment, then you'll be glad to hear that your new favourite snack can actually help save the planet, even when it's still being farmed. Already now, you can buy foods made with BSF larvae. 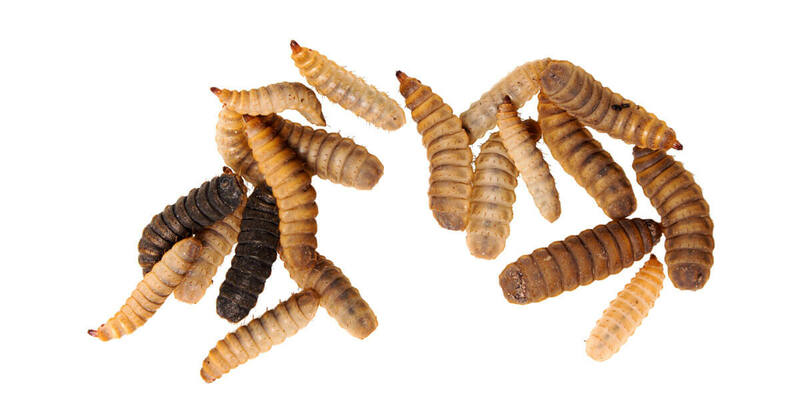 Last year, the company Enorm from Denmark, launched the world’s first Fly larvae cookies (Fluekiks). 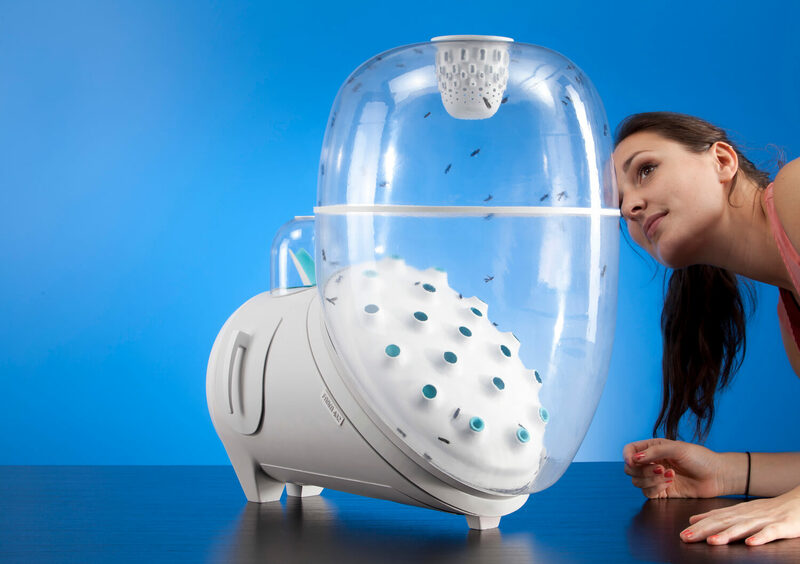 This year, they opened the world’s biggest fully automatized fly larvae farm. They are planning to produce BSF for food and feed. 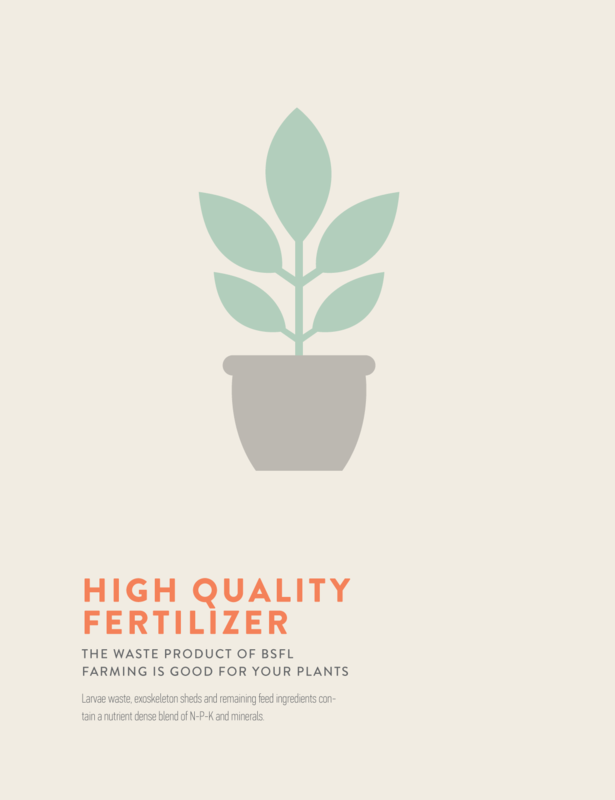 By growing black soldier flyes, you not only produce food and feed from organic food waste, but you also produce a high quality fertilizer for plants. Well, in short, their poop, dead flies, egg leftovers and so on are an excellent food source for your plants. Or in other words, there's absolutely no waste from BSFL production. You'll already be aware that there are edible insects out there, but right now they're very much treated as a novelty (in the west). Everyone's seen the scorpions set in lollipops, or insects sold in bags created to 'gross' buyers out. Mostly, they're not seen as a real, staple food, but they absolutely can be. Black soldier flies are already in regular production as an animal feed, and it's clear that they're packed full of nutrients that you could take advantage of. They would be easy to farm in your own home, and you could have a regular food source ready, whenever you needed it. It doesn't sound better than that, does it? As you look into black soldier flies, you'll see that they're some of the best insects out there for consumption. They're clean, they're easy to grow to maturity, and they're full of protein. You can easily find some and try them for yourself. One day soon, you'll be able to buy them in your local store. 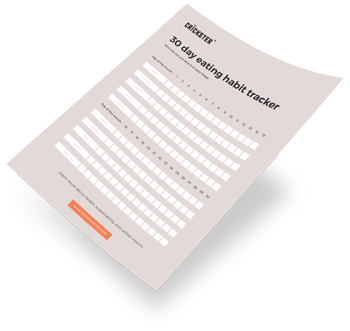 You don’t have to sacrifice your budget or convenience to healthy eating. With a little planning and knowledge, you can make healthy food choices without breaking the bank. Ever wondered which insect you should try first? Here's a list of the 8 most popular edible insects.